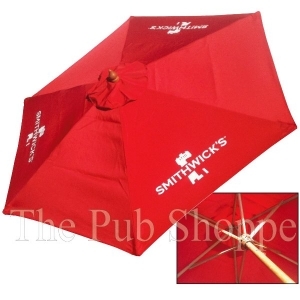 Direct from the manufacturer, this 7-1/2 foot Smithwick's logo umbrella is sure to be a hit at your event. 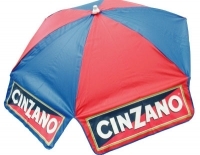 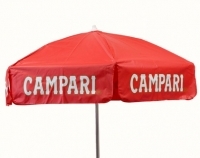 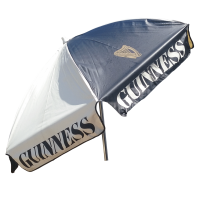 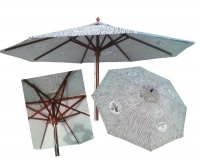 Licensed by Diageo, this market umbrella comes complete with a 7-1/2 solid hardwood pole and a 6 panel canvas cover opening to provide 7 feet of shade. 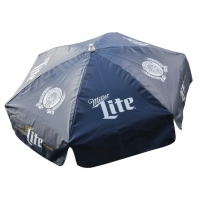 Includes a ridge vent for added cooling.